Dental anxiety afflicts millions of people. They may have had a past bad experience with a dentist, or perhaps the idea of someone working on their teeth just makes them uncomfortable. We understand these concerns, and we always do our best to help our patients feel at ease during their appointments. That is why we are proud to serve as your sedation dentist in Enfield. Nitrous oxide, often referred to as “laughing gas” is a mild inhaled sedative. Almost as soon as you begin breathing it in, you’ll start to relax. 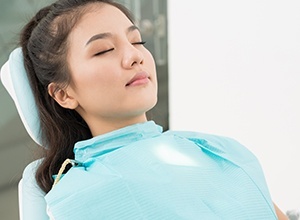 Your dentist can adjust your level of sedation throughout your procedure so you stay calm and collected for the entire time. Nitrous oxide is generally safe for patients of all ages and wears off quickly enough that you’ll be able to drive yourself home from your appointment. With oral conscious sedation, we provide you with a sedative in the form of a pill that you take shortly before your procedure starts. It induces a powerful feeling of relaxation. It may make you a little drowsy, but it is unlikely that you’ll fall asleep altogether; you should still be alert enough to interact with the dentist. After the pill wears off, many patients don’t even remember what happened during their dental procedure. If you choose to use oral conscious sedation, keep in mind that you’ll need someone to drive you to and from your appointment. You can expect the grogginess to wear off within 24 hours after you swallow the pill. 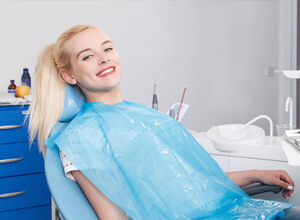 Sedation dentistry is an advanced service that we commonly use to help patients who are experiencing anxiety about their treatment. If that is you, please don’t hesitate to let us know! 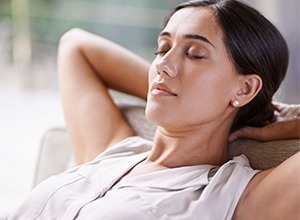 We’ll discuss your sedation options and help you choose one that is appropriate for your circumstances. You have a medical condition that makes it difficult for you to sit still for an extended period of time. You have found in the past that you do not feel completely numb when a local anesthetic is used. You need extensive dental work that will require a long time to complete. You have jaw pain and do not think you can keep your mouth open for the duration of your procedure. Both of the dentists in our practice are well-versed in sedation techniques, but our dedication to making you comfortable goes even further. We won’t treat you like you’re just another item to check off our list. Rather, we’ll take the time to explain any treatments we recommend and answer all of your questions. We even have intraoral cameras that will let you get a comprehensive look at what is going on in your mouth. Simply understanding your oral health and the reasons behind certain procedures may help you adopt a more positive view of dentistry. Also, please let us know if there is anything else we can do to make your experience with us as positive and relaxing as possible. 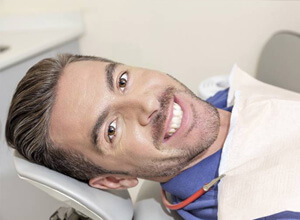 We’ll do our best to accommodate your wishes and help you conquer your dental anxiety!